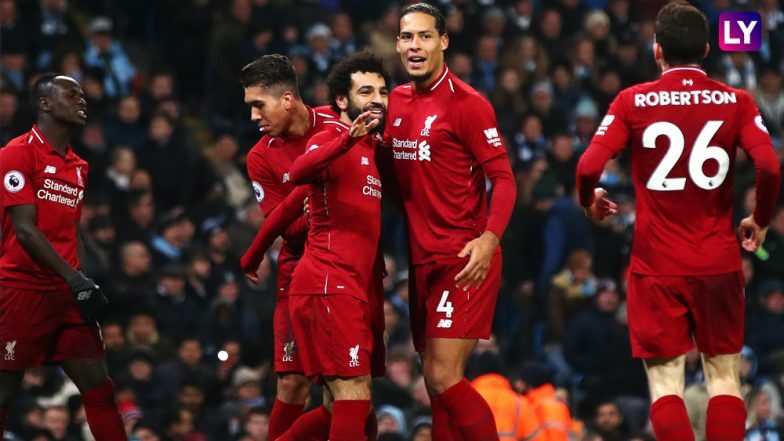 It is turning out to be one thrilling English Premier League title race involving Manchester City and Liverpool with each team displacing each other at the summit with ease. After City’s win over Cardiff took them to the top, it is now time for the Reds to respond. They are involved in a Friday night fixture away at Southampton-a club they have brought several successful players from in the past. The most famous among those are Sadio Mane and Virgil Van Dijk, the pillars around whom their title pursuits revolve. Jurgen Klopp would want his team to be ruthless in search of a win as they look to claim three points from all their remaining games. Southampton vs Liverpool - Live Football Score. Southampton will welcome back Jannik Vestergaard and Shane Long after the duo missed the win over Brighton. The presence of Vestergaard is immense for the home team since he has qualities needed to stop the likes of Mo Salah and Sadio Mane. James Ward-Prowse is a live wire in midfield and if ever there is a freekick situation near the box, Southampton will fancy themselves with him in the side. Nathan Redmond is the perfect foil for Shane Long in attack as his work rate will come in handy when the Saints try and up their pressing game. Virgil Van Dijk will likely undergo a late fitness test after he took a knock against Tottenham Hotspurs at home. Although Jurgen Klopp confirmed there is no major fitness issues involving the Dutch skipper, the test will be purely precautionary. James Milner or Jordan Henderson could be benched to accommodate Naby Keita in the starting eleven. Fabinho will likely be the playmaker behind the trio of Mo Salah, Sadio Mane and Roberto Firmino. Liverpool have struggled for goals at St Marys in the last three encounters so their role would be critical. When is Southampton vs Liverpool, EPL 2018-19 Football Match? Know Date, Time and Venue Details. In the English Premier League (EPL), Southampton and Liverpool face-off on April 05, i.e.Friday mid-night. The football game will take place at the St. Mary's Stadium, with the start time of 00:30 am (IST). Where to Watch the Live Telecast of Southampton vs Liverpool, EPL 2018-19 Football Match? The official broadcaster of the English Premier League in India is Star Sports. So the fans will be able to catch Southampton vs Liverpool live match action on Star Sports Select 2 and Star Sports Select 2 HD channels. If you are looking where you can watch the online streaming of the match, then you can log on to Star Sports' live streaming service, i.e. Hotstar. You can also catch Southampton vs Liverpool live football score updates on LatestLY, by clicking here. It is not going to be easy for Liverpool considering how they have failed to get wins on the road in the last few away games. But they should come out of this one with a scrappy win enough to keep their challenge alive.